Description: Create a 3-foot, vintage-style, wooden Christmas tree to be displayed in your yard OR you can lean it up against an “empty” hallway wall. This craft is FULL of useful techniques you can apply to other wood crafts, dressers and end tables! Project supplies include: wood, paint, napkins, and a star. It will NOT include buttons, and it will NOT include an outdoor gloss. 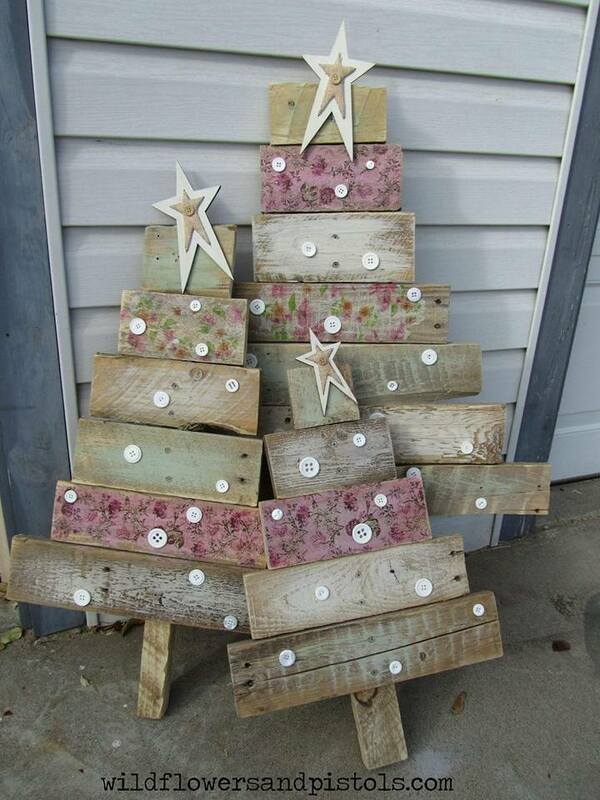 Register for November Pinspired Wooden Pallet Style Tree(s).- FULL please, email to be put on waiting list. RSVPs and cancellations for this craft are due by Wednesday, November 4 so we have enough supplies. If you need to cancel after this date, please let us know and we will email you an invoice and set up a time for you to pick up a kit.